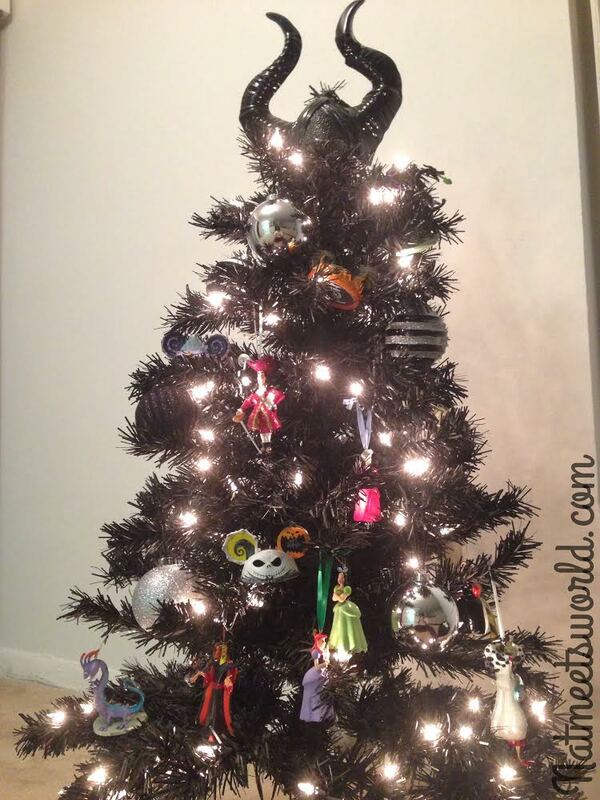 Last year I was walking around Wal-Mart after Christmas was over and stumbled upon a black 4 foot Christmas tree that was on sale from $40 t0 $12. I immediately thought, what can I use this tree for?! Of course my mom rolled her eyes because not only did she not understand why anyone would purchase a black Christmas tree, but she could also see another creation brewing in my mind (as if I don’t already have enough creations). 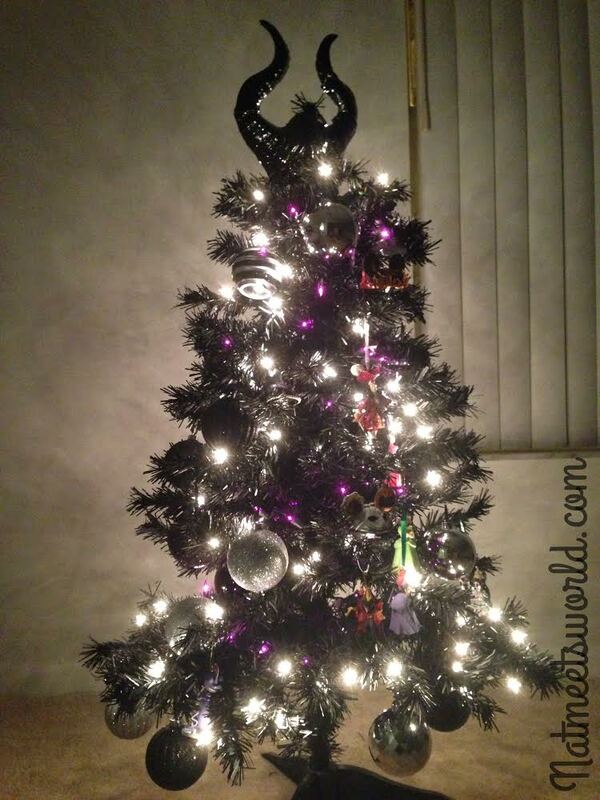 It wasn’t long before I decided to use this fabulous tree for Halloween instead of Christmas (who says Halloween can’t have its own tree?). 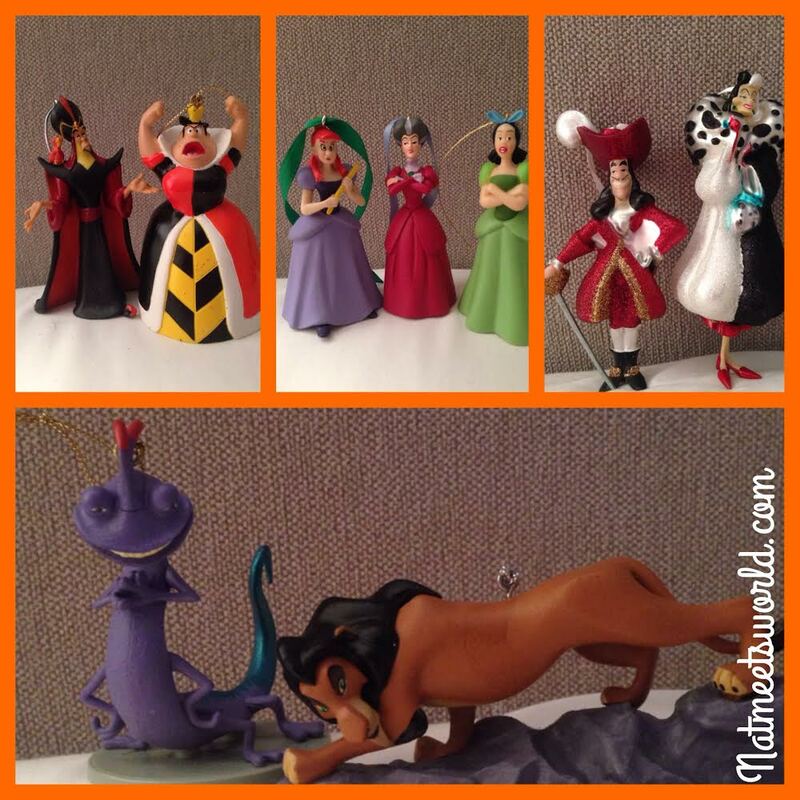 I also absolutely love the Disney villains. While the princesses will always be loved, the villains aren’t given the attention they deserve (maybe that is why they are so mean?). 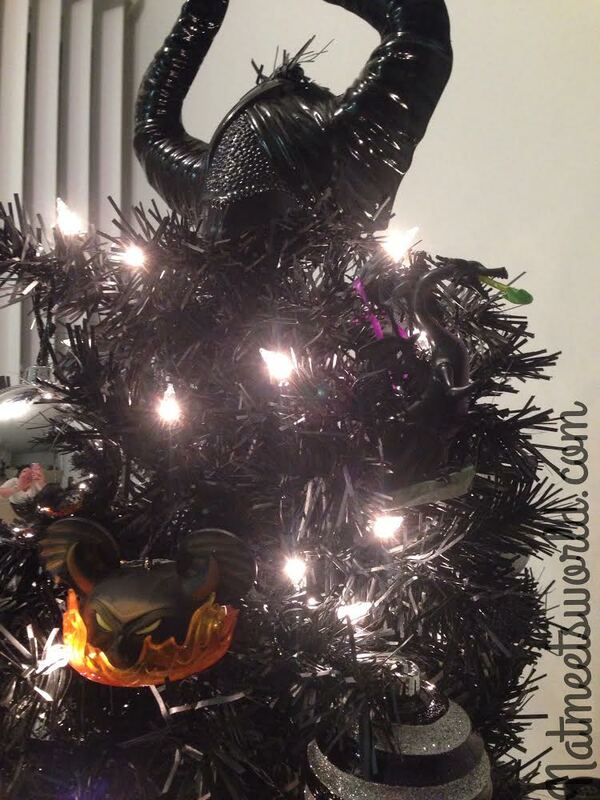 To give the villains some love this holiday, I decided to dedicate my tree to them! 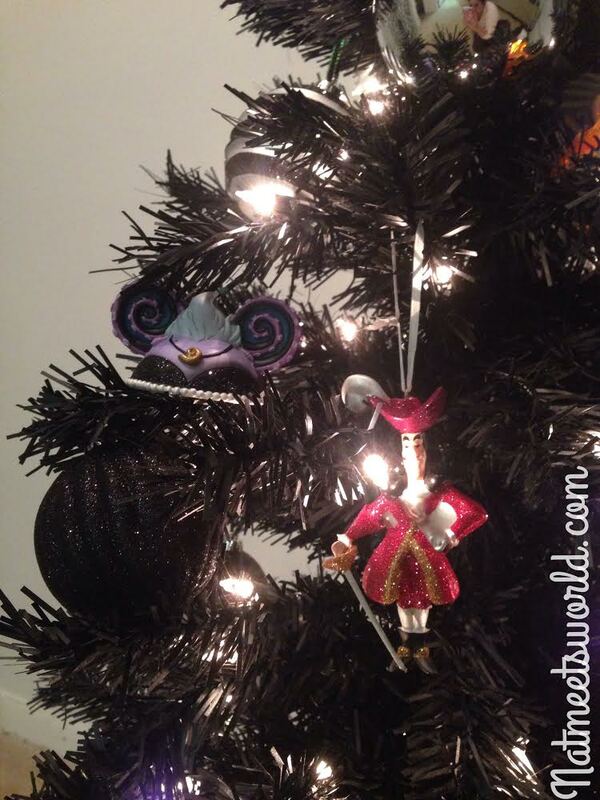 Here are the steps I took to make my Disney Villain Halloween Tree! 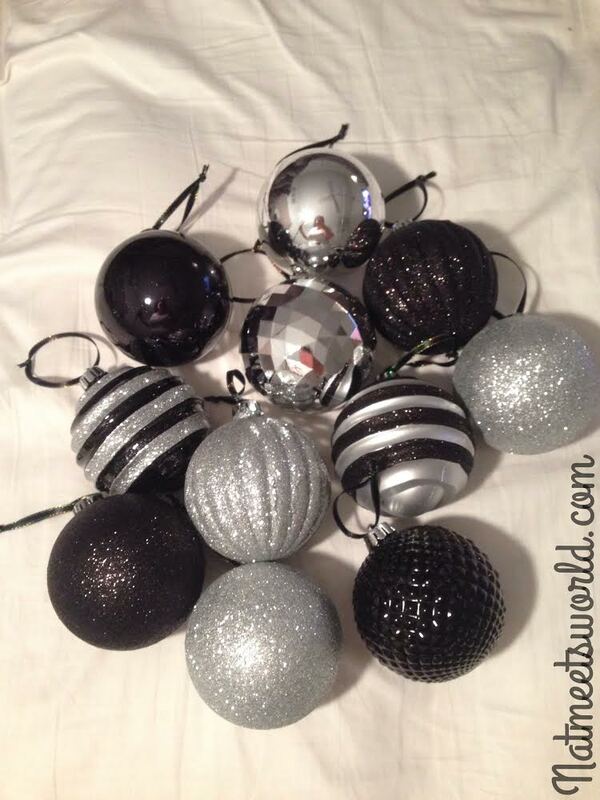 I decided to go with these pretty black and silver ornaments. They were on sale for $4 since it was after Christmas. 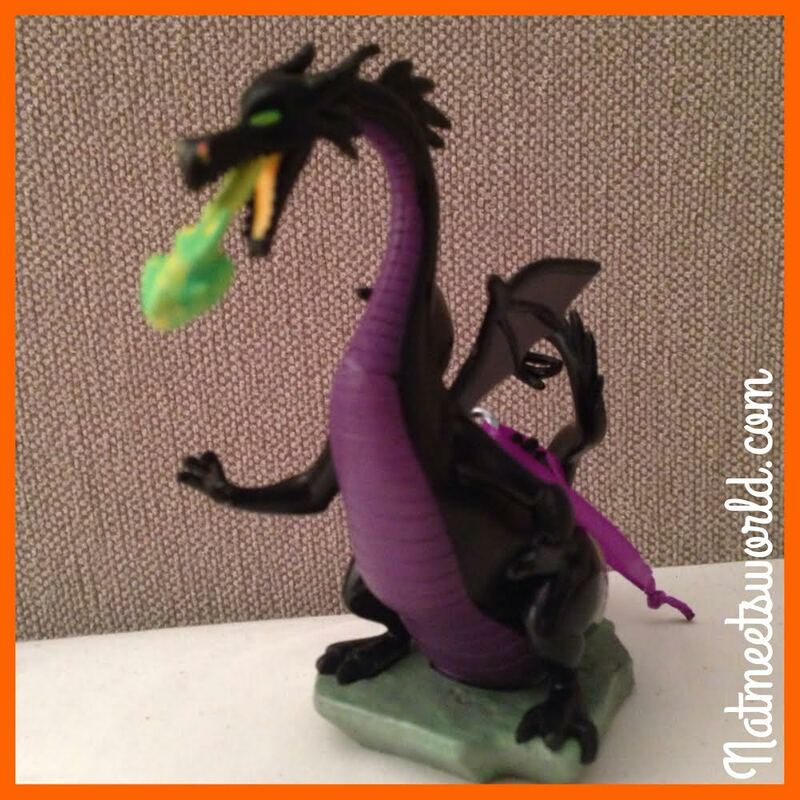 I was fortunate enough to have been given some amazing Maleficent horns from the Maleficent premier earlier this year. Even though these are online for sale, the sellers have started them at outrageous prices. 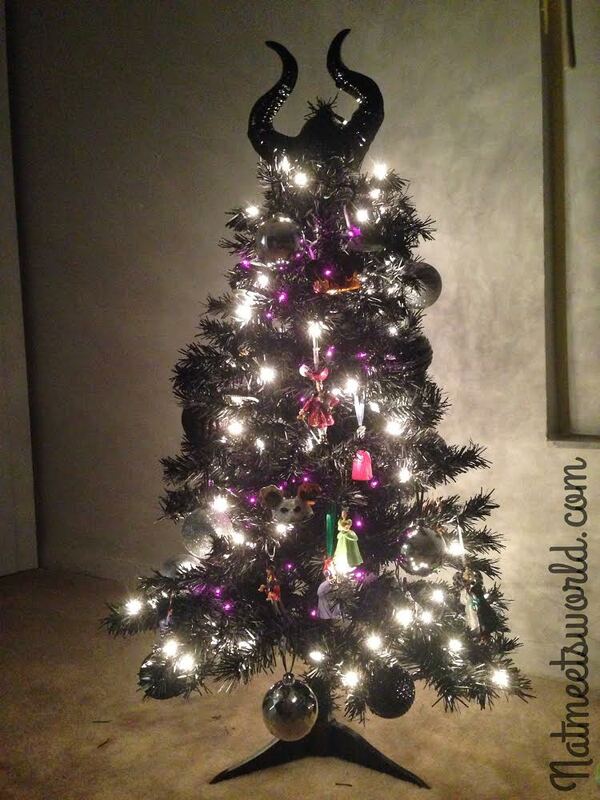 I decided to use the horns as the tree topper. As for the lights, this tree is pre-lit with white lights. 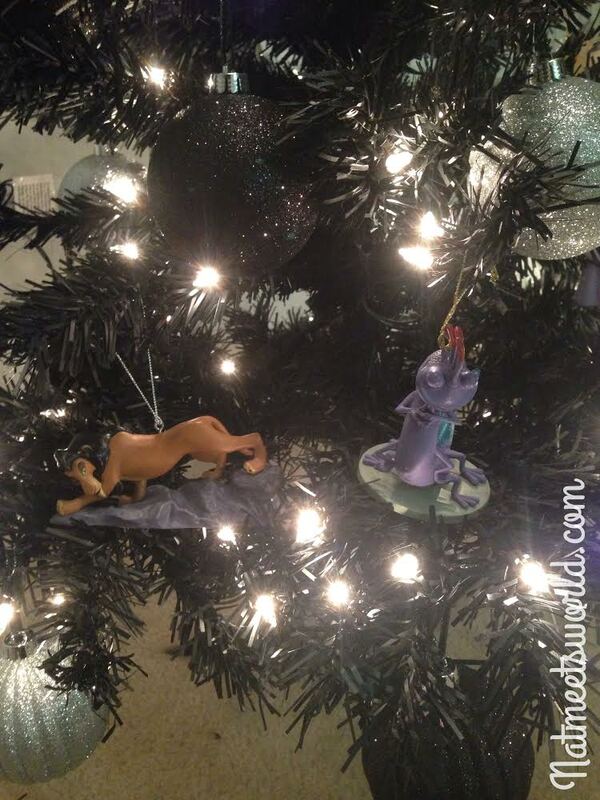 I wanted to add some color, so I found purple string lights at the Dollar Tree. 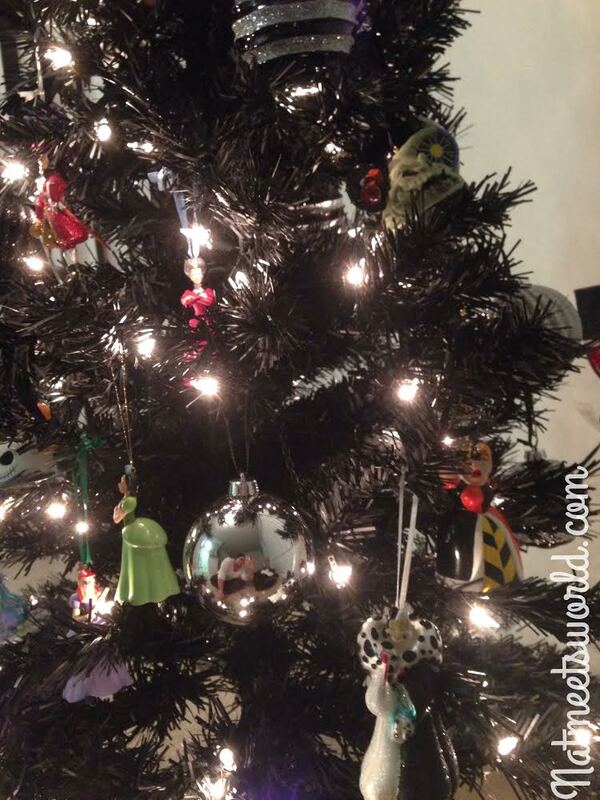 Once you get all of those things, its time to put up the tree! 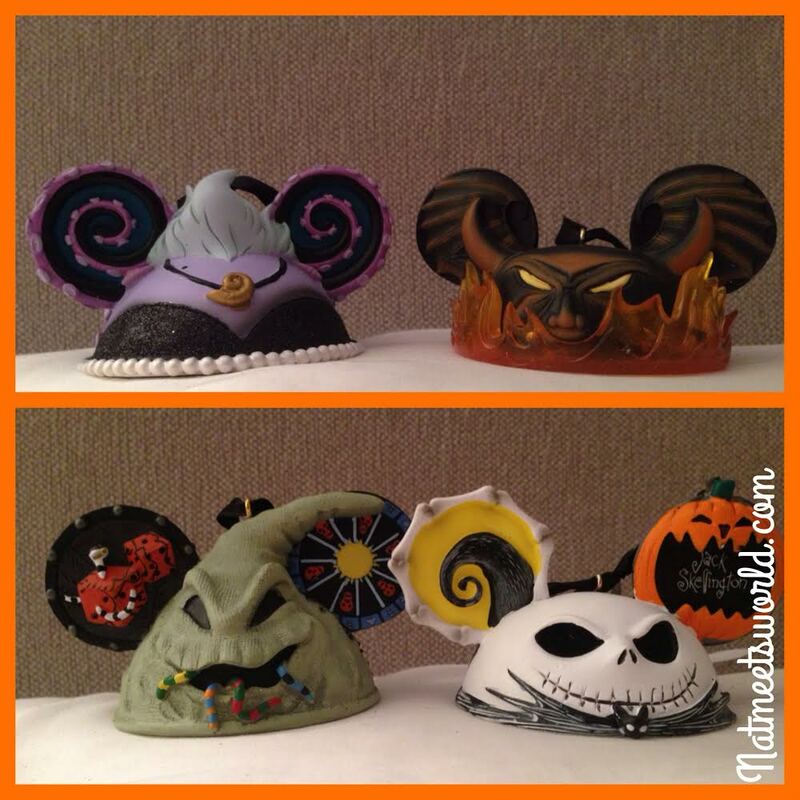 The outcome is amazing, and full of Disney Villain flare! 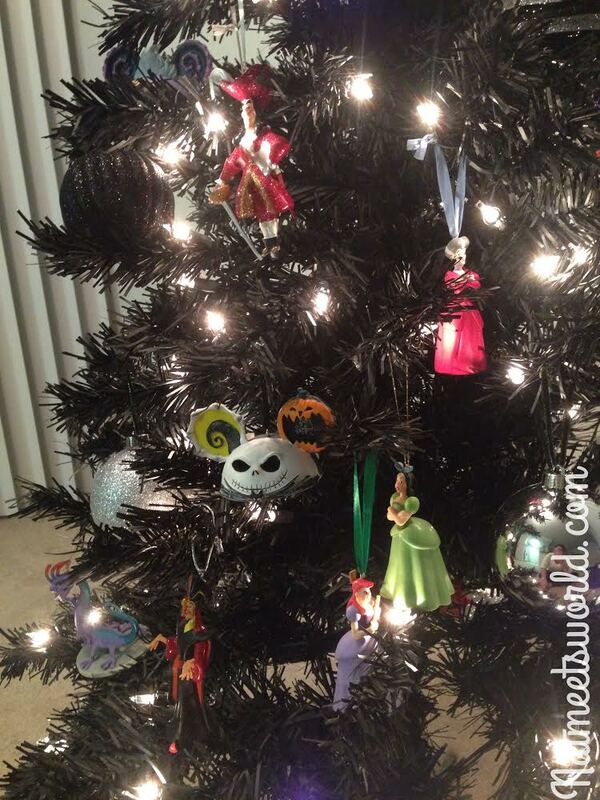 Do you have a Halloween tree of your own? I would love to see it in the comments below!